Yes we’re advertising for Nissan. You’re welcome to throw money our way Nissan! Yeah awesome highway there, this project is called the Future Highway. It was about time someone did something innovative to this near ancient concepts of roads. 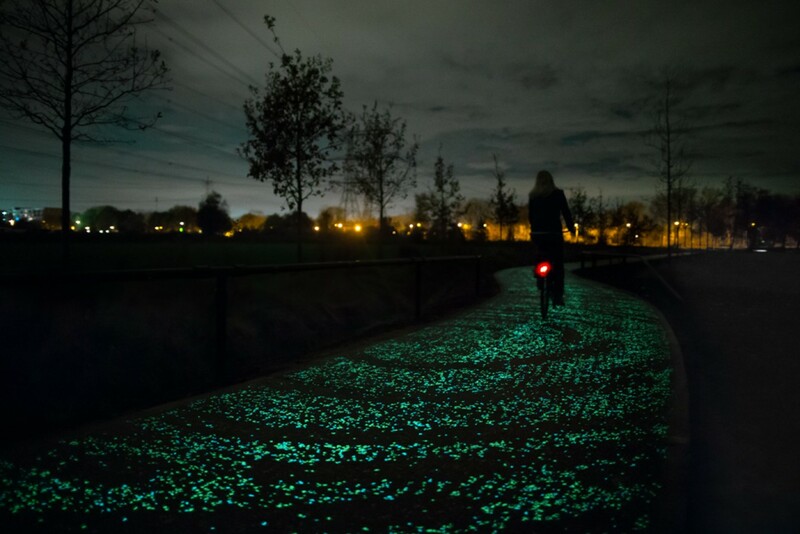 There are several other beautiful projects by Daan Roosegaarde and his team. All of them by now internationally praised. 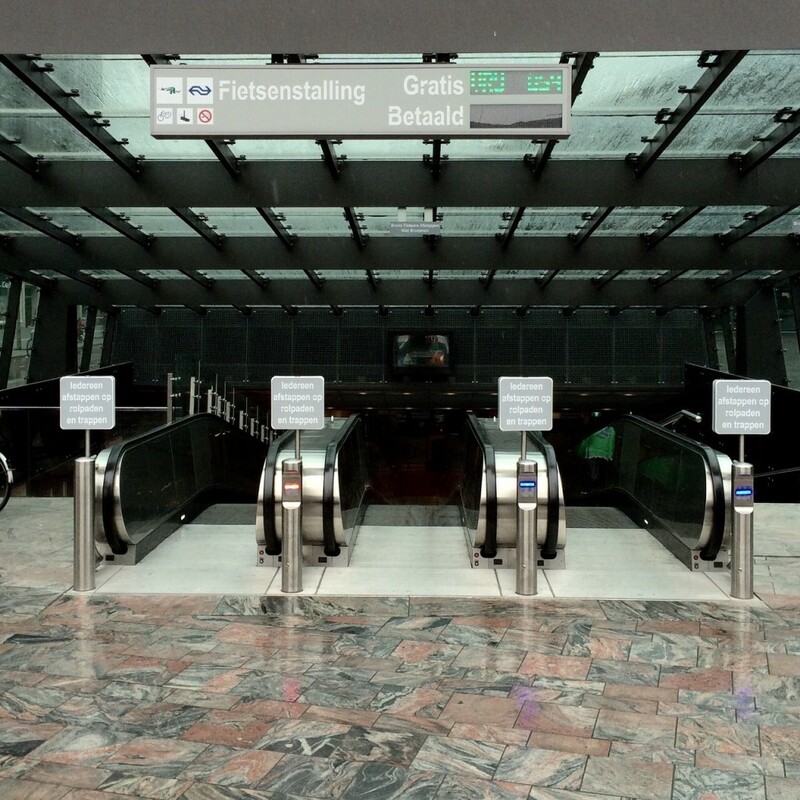 “Rainbow Station connects the historic Amsterdam Central Station with astronomy science to create a site specific rainbow of light. Together with the University of Leiden, Roosegaarde unravels light efficiently into a spectrum of colours. Via new liquid crystal technology which is developed for research on exoplanets, Rainbow Station takes the exact shape of the 125 year old historic station roof. It shows that with some effort and a lot of creativity you can turn roads and other stuff, which are usually just obstacles in the way of a good vista, into projects of art that can also be thoroughly enjoyed when driving on it. And yes, this work is the most beautiful in my opinion. 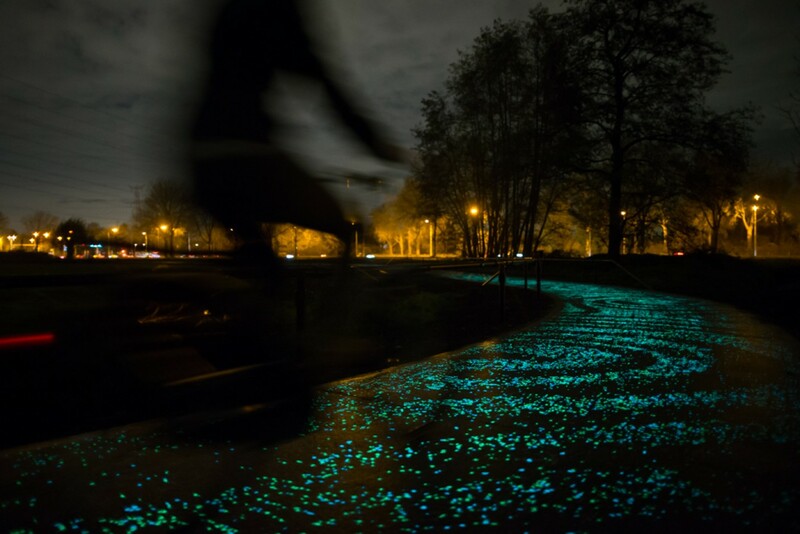 The recent Van Gogh-Roosegaarde bicycle path is made of thousands twinkling stones inspired by ‘Starry Night’. The path combines innovation with cultural heritage in the city of Neunen, the place where Van Gogh lived in 1883. 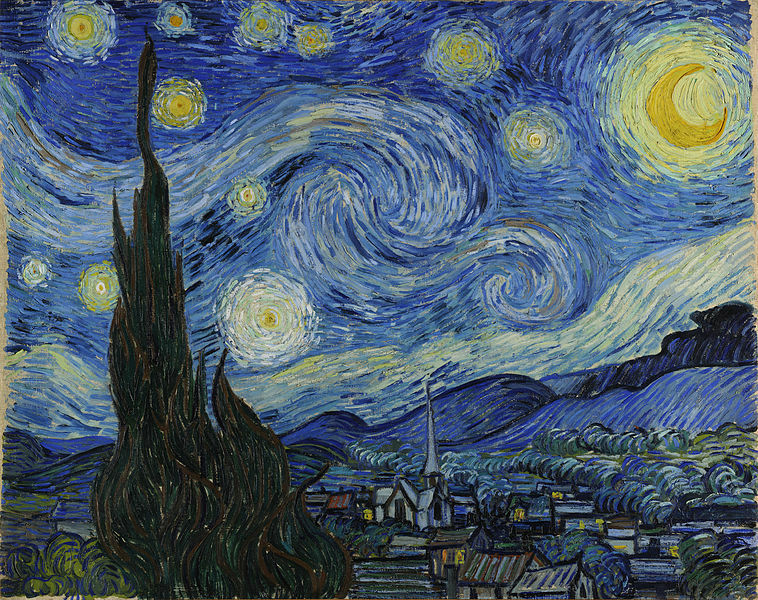 And thus nicely combining Van Gogh and cycling in one piece of art. This cliché is of course heavily covered at DutchReview, the Dutch simply love cycling and we’re not letting this hobby/way of life slip away. It shouldn’t come as a surprise that the Dutch are also at the forefront of cycling innovation. 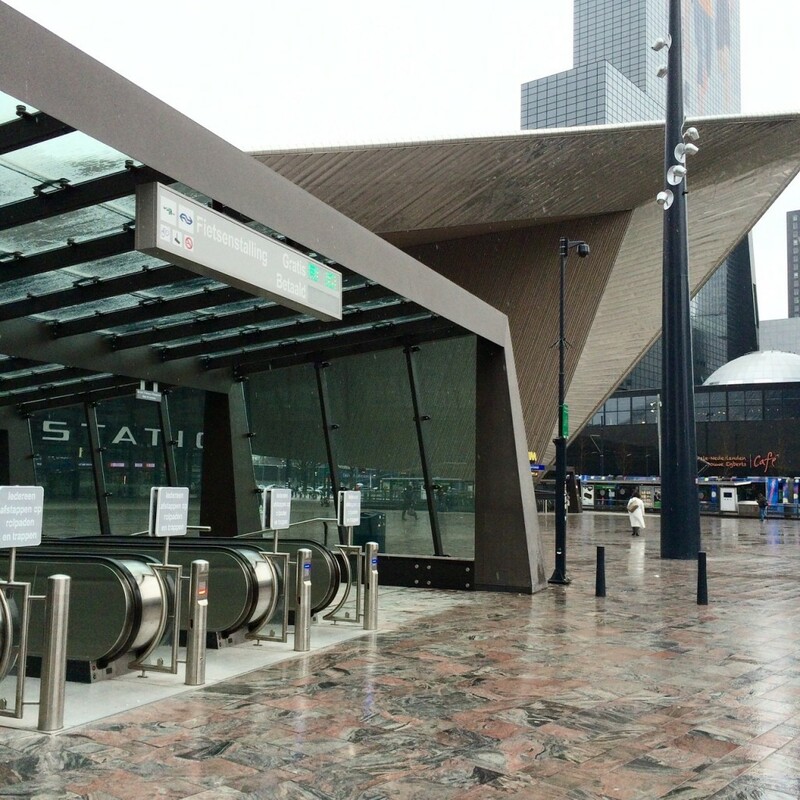 For example there’s the biggest cycling station of the world being built at Utrecht Central station, in many Dutch cities parking your bike has become way more problematic than parking your car. The bicycle parking station at the brand new (and beautiful!) Rotterdam central station even has a counter showing you how many spots are available and where – no more looking around for precious moments when looking for a spot. 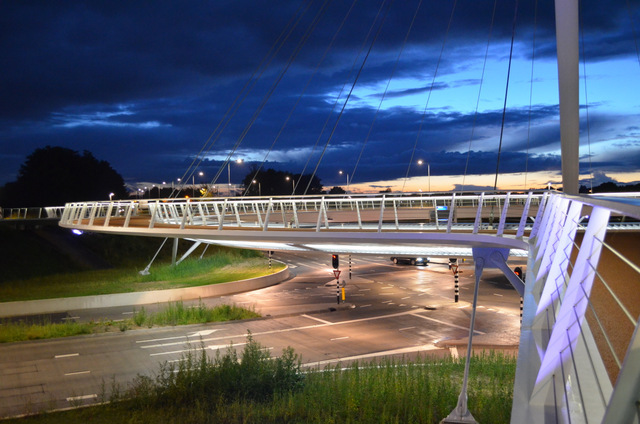 Yes, the pics above are from the suspended bicycle path round-about the Hovenring near Eindhoven. 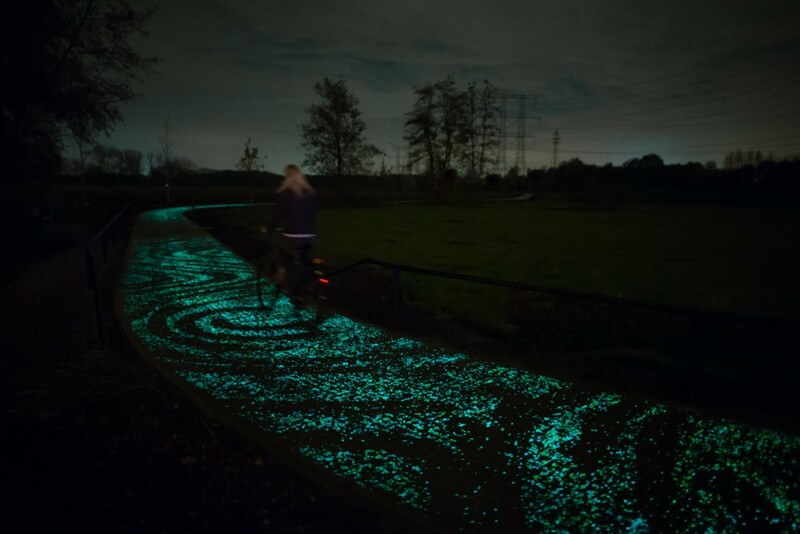 It’s so nicely looking (or totally crazy when you remember it’s a cycling round about) that it’s also featured on CNN and the likes, together with the Van Gogh path and the world’s first solar cycling lane. So, that’s artsy stuff and cycling. How about actual traffic? This movie shows testing on Platooning, the art of getting trucks in a self driving autonomous convoy on Dutch highways is set to save millions of gas money and make the transport sector way more efficient. This one shows the promise of the ITS corridor. Stretching from Austria, through Germany, and the Netherlands the ITS corridor is aiming to actually have you experience some of that goodness from the future. Cooperative technology will help drivers seek an alternative route in good time or slow down, which not only boosts safety but also the flow of traffic. No more traffic jams! 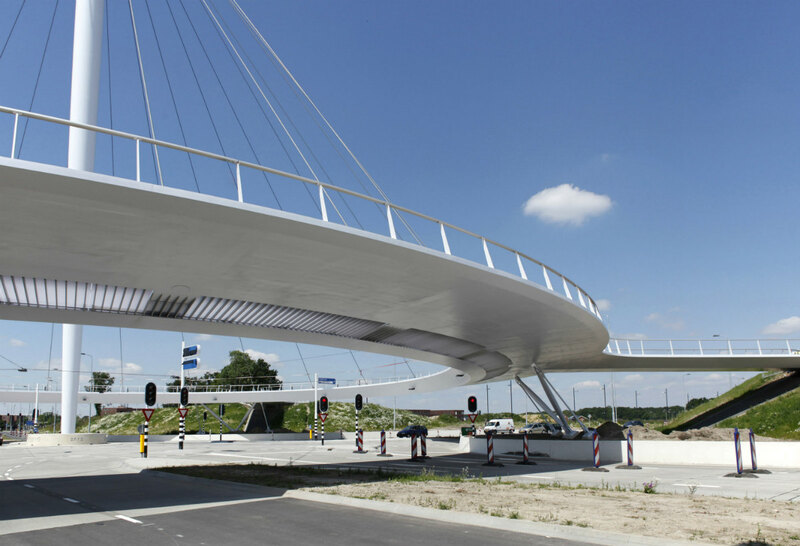 Want to know more about the Dutch and their innovative traffic projects? There’s a tool for that. Although not a traffic thing. 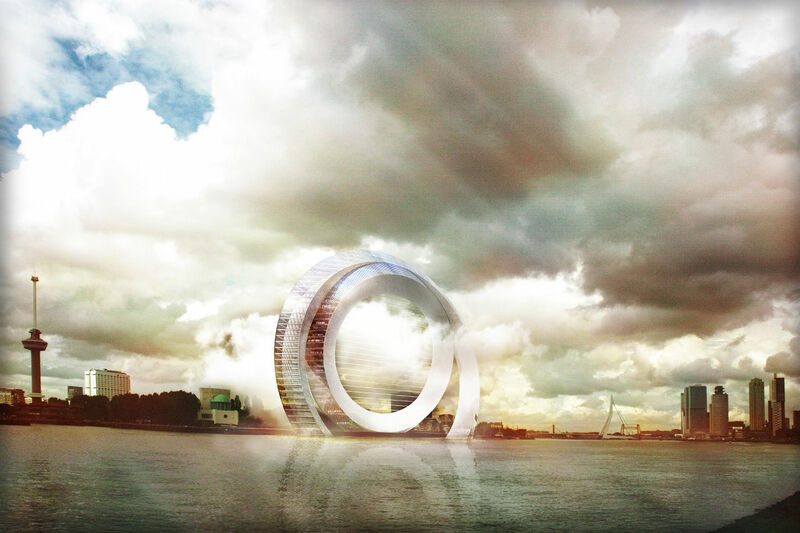 I just had to include the concept of the Dutch Wind Wheel. 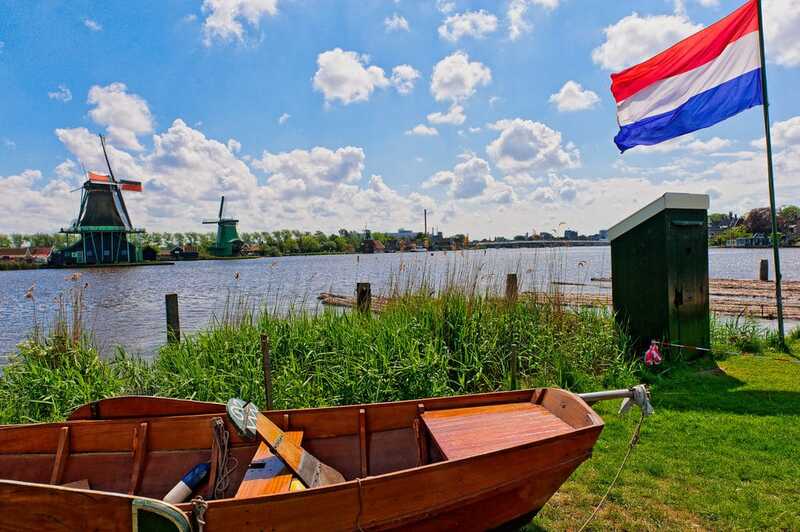 I mean look at it, that stuff is what you expect from Dubai or Middle Earth – not the Netherlands. It will feature 72 apartments, generate electricity and, obviously,way more touristic attention for Rotterdam. So I guess the Dutch are finally moving away from the tradiotional canals huh?